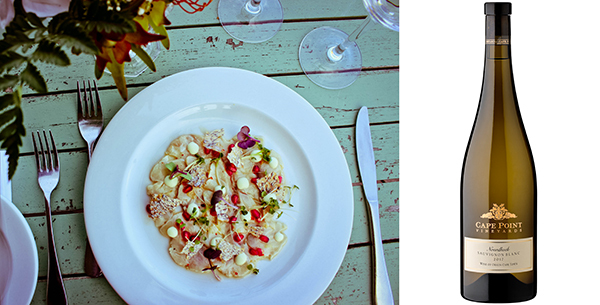 Executive Chef Jonathan Gargan reccomends this fresh line fish ceviche recipe from the Cape Point Vineyards Restaurant as the perfect dish to serve al fresco with a bottle of cold Noordhoek Sauvignon Blanc. Finely chop the fresh coriander; chilli; ginger and garlic. Squeeze the juice from the limes and lemons. Combine the coriander; chilli; lime juice; lemon juice; fish sauce; soy sauce; ginger and garlic. Remove the skin from the fish and place between two sheets of wax paper. Heat up a non stick pan and fry the fish skin with a sauce pan placed on top of it to keep it in a flat shape. Thinly slice the line fish and place in the liquid mixture. Leave the line fish in the mixture for 2-3 minutes. Remove the fish from the liquid and place on the presentation plate. Combine the yuzu juice and mayo. Add dots of Yuzu mayo on top of the plated fish. Garnish with pomegranate; micro herbs; small pieces of crispy fish skin and a drizzle of olive oil. 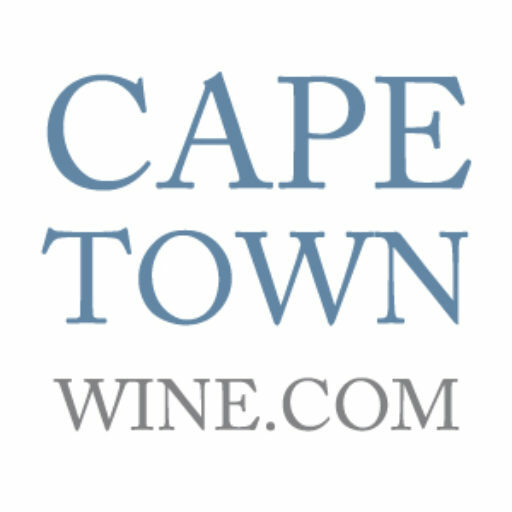 Ensure that your guests have a glass of Cape Point Vineyards Noordhoek Sauvignon Blanc on hand and serve.